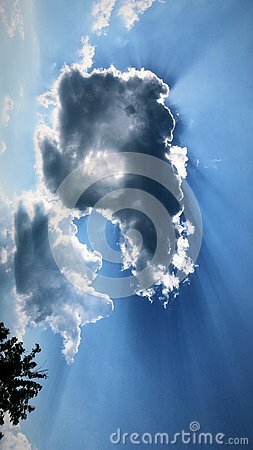 stock image of Blue cloudy sky from airplane illuminator with copyspace. Space for dreaming, desires. Beautiful landscape from bird's eye.